The dates of the 2018 Mudgee Wine & Food Festival have been released, with a range of dinners, lunches and tastings set to further establish the region as one of the preeminent food and wine destinations of New South Wales. The Festival will run from 4th to 23rd September 2018 and include the following key events. Further information on this event will follow. Enjoy the Mudgee’s best produce prepared by the region’s leading chefs. This three-course dinner comprises a range of bites that highlight Mudgee’s diversity with its food and wine varieties. The heart of Mudgee comes alive with Flavours of Mudgee. Guests are invited to celebrate Mudgee’s food and wine with all the producers, winemakers and growers offering tastings and dishes along the town’s historic main street. For the mid-week guest there will be casual wine tastings at Roths Wine Bar. Wednesday Night Wine is an interactive and engaging tasting hosted by the region’s best wine personalities and includes small bites and share plates. Watching all the adrenalin pumping action on the first day of the 2018 Pre-World White Water Rafting Championship on 11 May was certainly a highlight of my five-week house-sitting stint in Tully. Before visiting Tully, I knew the town of 2390 people and located 140 kilometres south of Cairns in North Queensland was reputed to be the wettest town in Australia. It has an average annual rainfall of more than 4000 millimetres. The highest ever annual rainfall in a populated area of Australia, 7900 millimetres, was recorded in Tully in 1950. The Golden Gumboot monument stands as testament to these records. At 7.9 metres tall, the boot represents the town’s record 1950 rainfall. An inside spiral staircase takes you to the top for a view of the town. Tully also holds an annual Golden Gumboot Festival. What I didn’t know was the nearby Tully River is arguably the best rafting river in Australia. 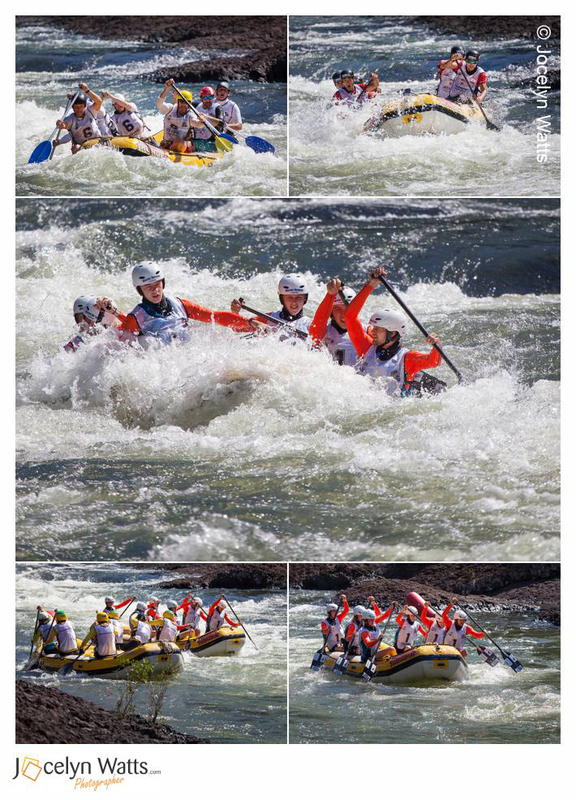 It’s no wonder Tully was chosen to host this year’s national rafting championship in May, which was a build-up event to the International Rafting Federation’s (IRF) 2019 World Rafting Championship (WRC). On 11 May I was lucky enough to find a terrific spectator viewing spot to watch the first day of action when some of the world’s best rafters competed in the sprint and head-to-head disciplines. In just a few hours I learnt a lot about the sport and watched in awe as rafters navigated their way through the Tully River’s rapids, fringed by world heritage tropical rainforest. However, you don’t have to be the best in the world to experience the thrill of white water rafting on the Tully River throughout the year. Thrill seekers of all levels, even beginners, can book half or full day tours though www.wildsideadventures.com.au or www.ragingthunder.com.au. Follow the link below to buy photos from the first day of the 2018 Pre-World White Water Rafting Championship at Tully. And, don’t forget to mark May 2019 in your diary for next year’s World Rafting Championship.